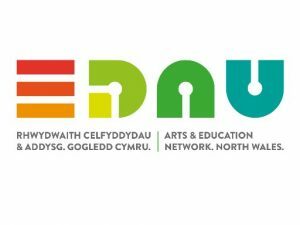 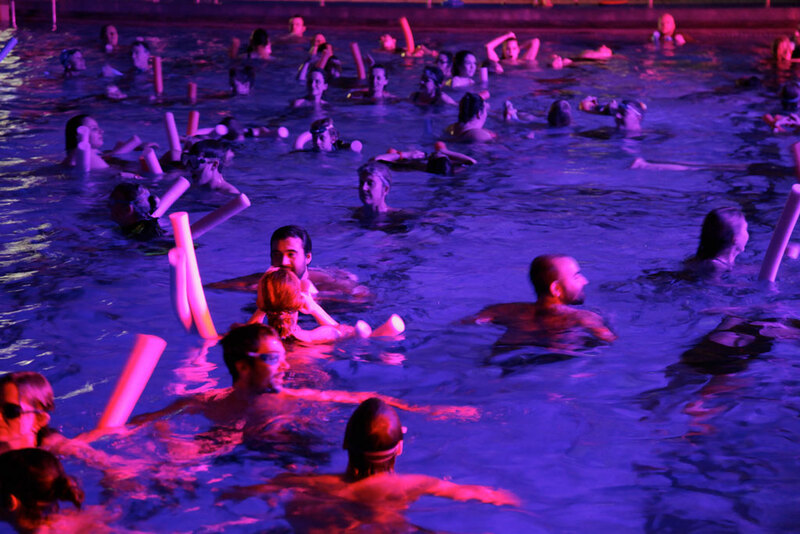 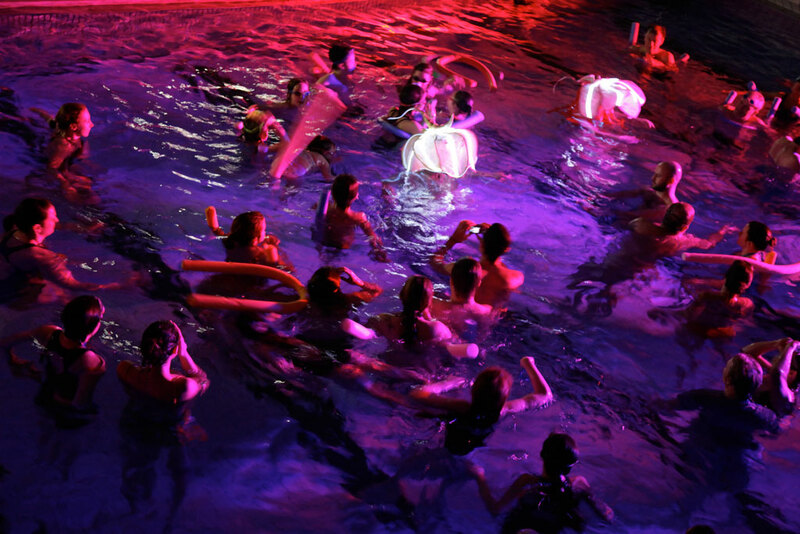 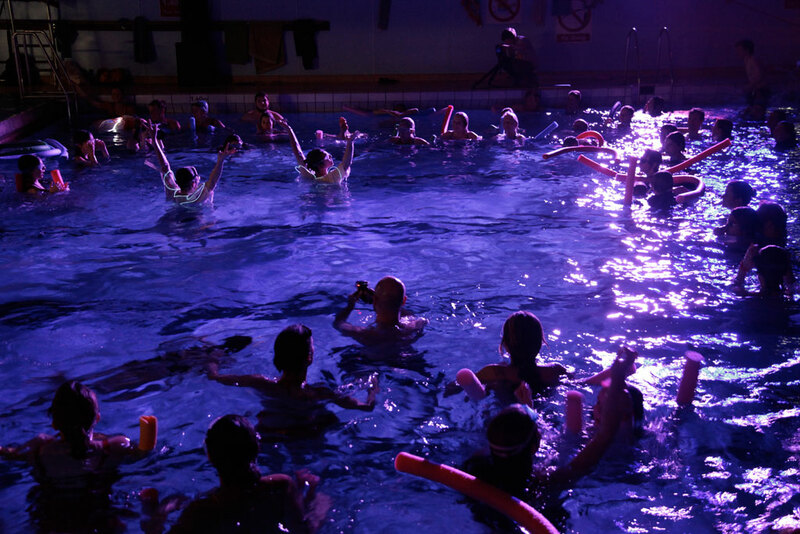 Part of an inaugural year of sound art activity for Pontio, Soundlands launched with WetSounds – an underwater alternative music performance in a swimming pool. 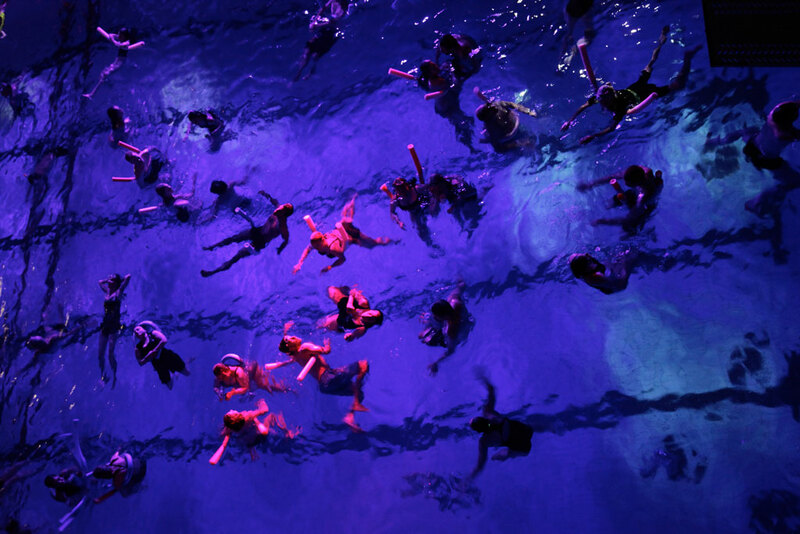 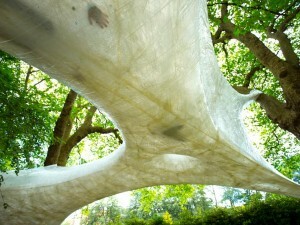 Devised by Joel Cahen, the audience floated, swam and dived in water filled with sound from special underwater speakers. 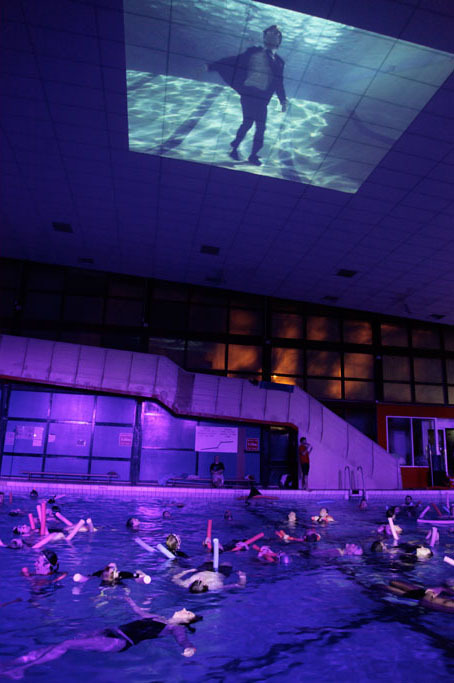 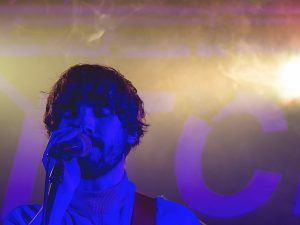 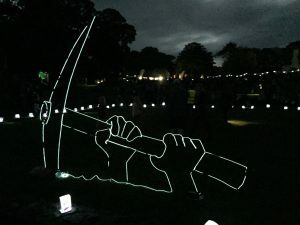 Live music was performed by seminal surrealist group Nurse with Wound and the evening’s entertainment included underwater live-art scuba performance, new water choreography, more live music and film.